Made by her daughter Candy, No Eggs Tomato Soup Cake can be found in Mom’s Recipe Box. 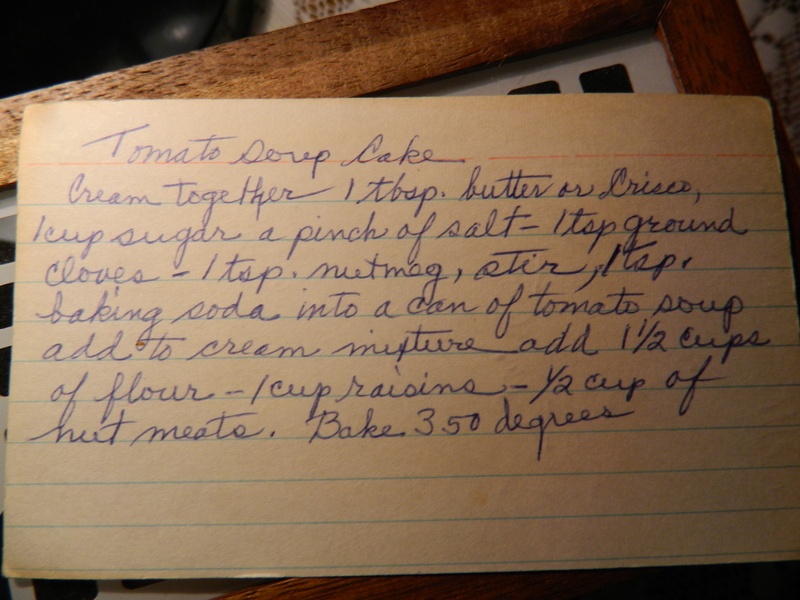 With the cost of eggs on the rise, when my sister Candy came across a No Eggs Tomato Soup Cake recipe in our mother’s recipe box she thought it would be timely and helpful. 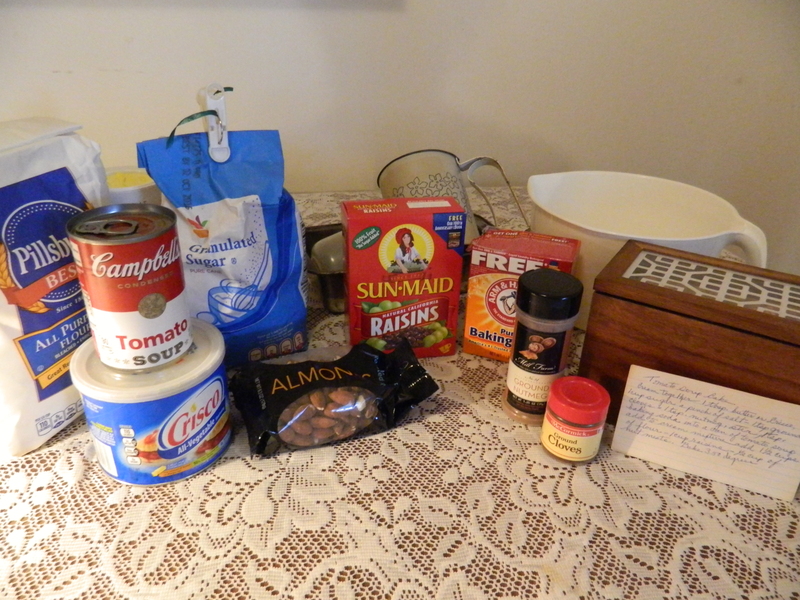 It is one that Mom wrote out on an index card – we both always enjoy seeing the recipes written in Mom’s penmanship. My sister recently tried the recipe herself for the first time. It came out great. 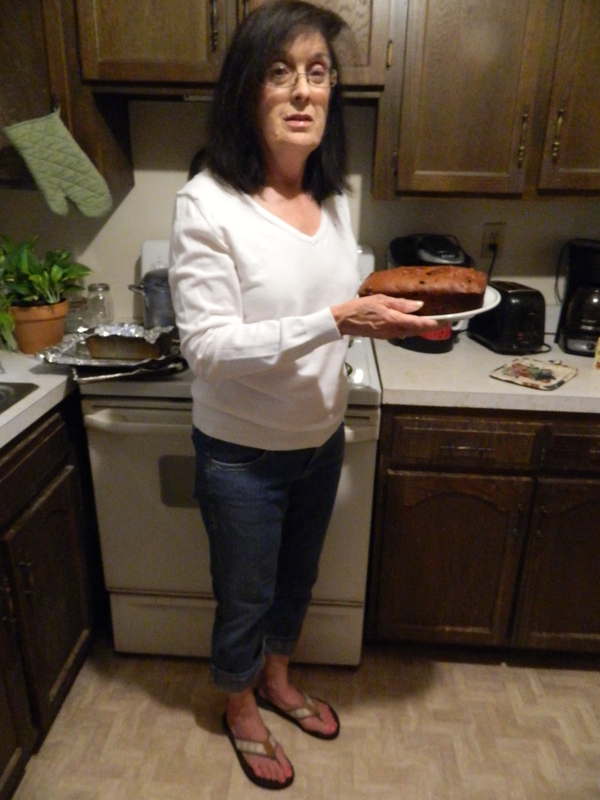 The end result was so good that Candy said she will definitely bake this cake again – perhaps next time using a can of low sodium tomato soup. 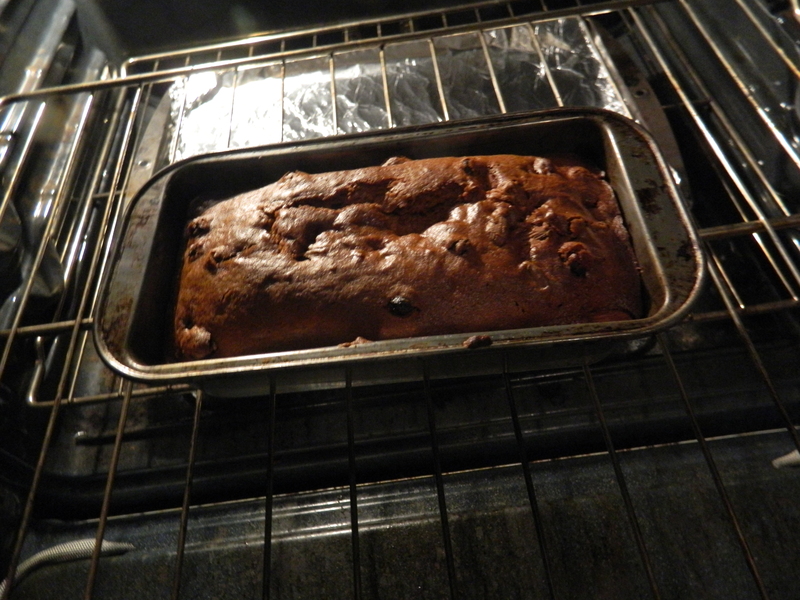 The recipe calls for a whole cup of raisins so the cake is nicely filled with them. Mom didn’t include how long to leave the cake in the oven. In that Candy used a loaf pan she decided to bake it for one hour. Cream together one tablespoon butter or Crisco, one cup sugar, a pinch of salt, one teaspoon ground cloves and one teaspoon nutmeg. Stir one teaspoon baking soda into a bowl with the can of tomato soup then add that to the mixture. Next, add one and half cups of (sifted) flour, one cup raisins and one half cup nut meats ( almonds were used). 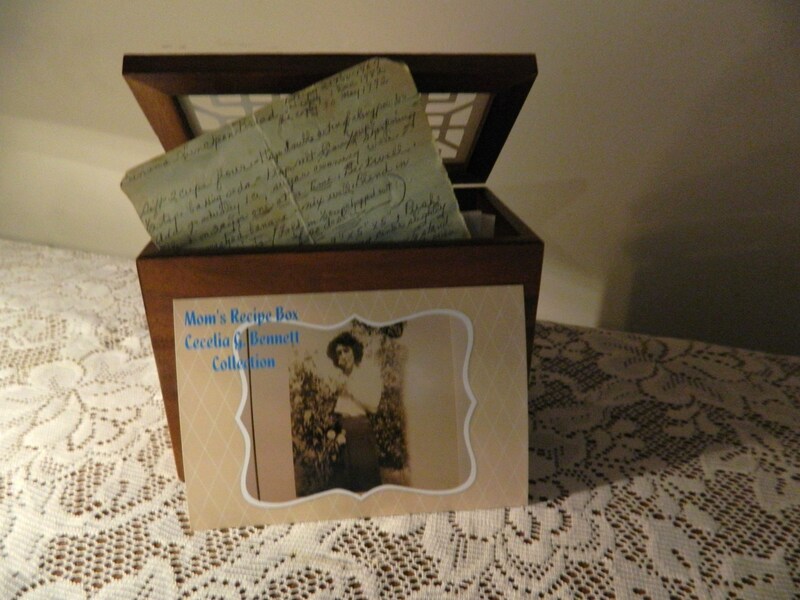 Look for Mom’s Recipe Box as an occasional feature on newsandviewsjb as I continue to add to and celebrate my mother’s collection of recipes – the Cecelia G. Bennett Collection.